As November comes to an end, Kay Plumbing wants you to remember, it is important to protect our water supply and critical infrastructure all year, not just in November. To end the month we are going to share this wonderful blog by the EPA. It is a easy read on how we use water in our daily life, that you might not even realize. Enjoy! The Earth might seem like it has abundant water, but in fact less than 1 percent is available for human use. The rest is either salt water found in oceans, fresh water frozen in the polar ice caps, or too inaccessible for practical usage. While population and demand on freshwater resources are increasing, supply will always remain constant. And although it’s true that the water cycle continuously returns water to Earth, it is not always returned to the same place, or in the same quantity and quality. Water plays a big role in supporting our communities. Without water there would be no local business or industry. Fire-fighting, municipal parks, and public swimming pools all need lots of water. An array of pipes, canals, and pumping stations managed by our public water systems are needed to bring a reliable supply of water to our taps each day. Where does all this water come from? It starts out as rain or snow and flows into our local lakes, rivers, and streams or into underground aquifers. You can learn more about water in your state, including how it is being protected and where your local drinking water comes from. How is water used in my state? In the US, we are lucky to have easy access to some of the safest treated water in the world—just by turning on the tap. We wake up in the morning, take a shower, brush our teeth, grab a cup of coffee, and head out for the day. Water is an important part of our daily lives and we use it for a wide variety of purposes, but do we really understand how much we use? The average American family uses more than 300 gallons of water per day at home. Roughly 70 percent of this use occurs indoors. 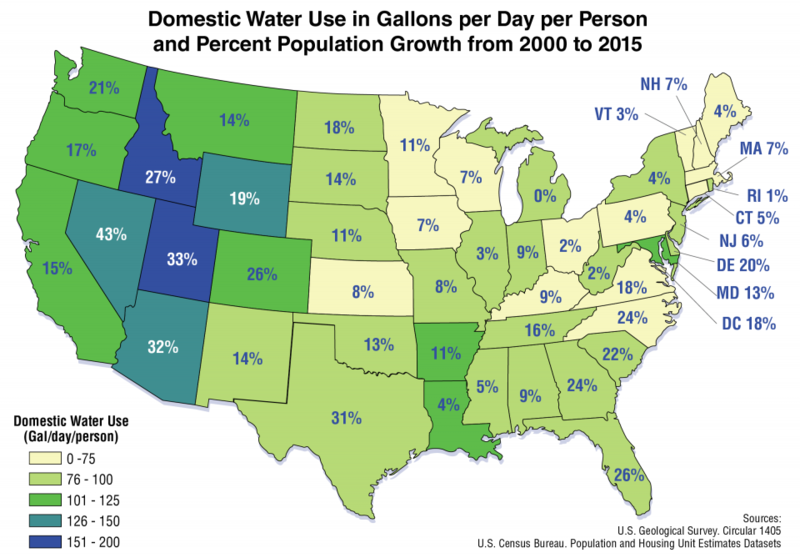 Nationally, outdoor water use accounts for 30 percent of household use yet can be much higher in drier parts of the country and in more water-intensive landscapes. For example, the arid West has some of the highest per capita residential water use because of landscape irrigation. 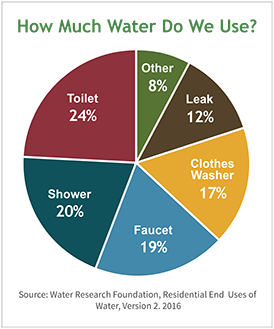 An easy to way to understand individual water use is to look at your water bill—not just the amount due, but how much water you used. Once you understand how much you use, the WaterSense calculator can help determine how much water your household could save if you switched to more efficient, WaterSense labeled products. Managing water is a growing concern in the US. 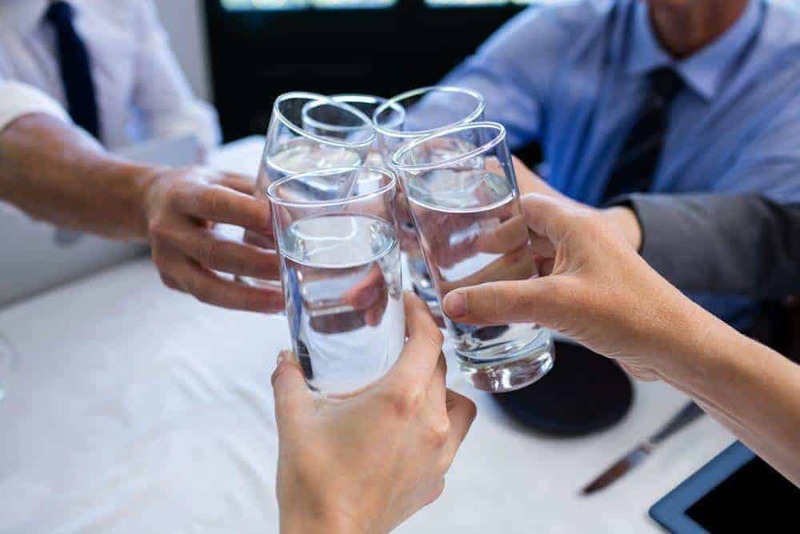 Communities across the country are starting to face challenges regarding water supply and a need to update aging water treatment and delivery systems, sometimes referred to as “water infrastructure.” Many of the states that have projected population growth increases also have higher per capita water use and can expect increased competition for water resources. Forty states told the Government Accountability Office in a 2014 report that they expected to have water shortages over the next ten years that were not related to drought.